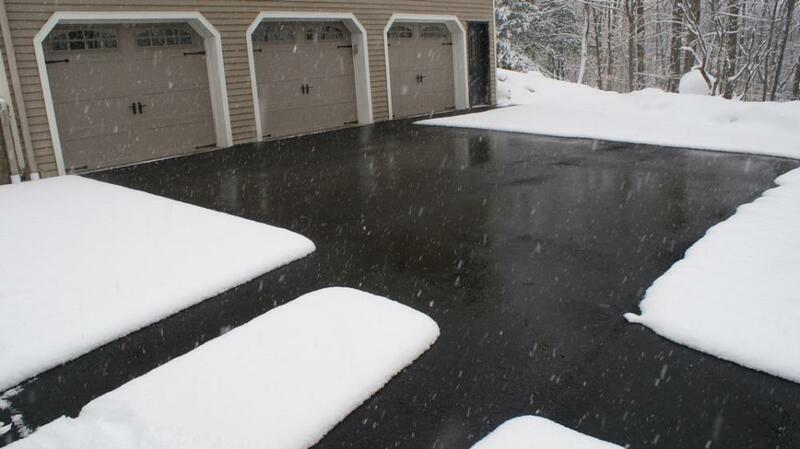 We are Factory Authorized installers and a distributor of radiant heated driveway systems. We are Northeast Located, our systems are Northeast designed, we are Northeast tested ! We have factory approved methods that other companies don't even know of. Which means we have the support and ongoing knowledge to keep your system running as efficiently as possible, in the best possible mechanical shape and most importantly we are there when you need us for service or expansion. We recently had a client tell us during a maintenance that just after he had his system installed he had seen another system being installed while driving locally. This other system was a hydronic (water-based) system and, being curious, he stopped by to talk with the owner. They talked and the owner of the property showed him the tremendous amounts of new piping, controls, pumps, storage tanks and a huge oversized boiler in total costing him over $65K. Long story short 2 years later the system does not work. 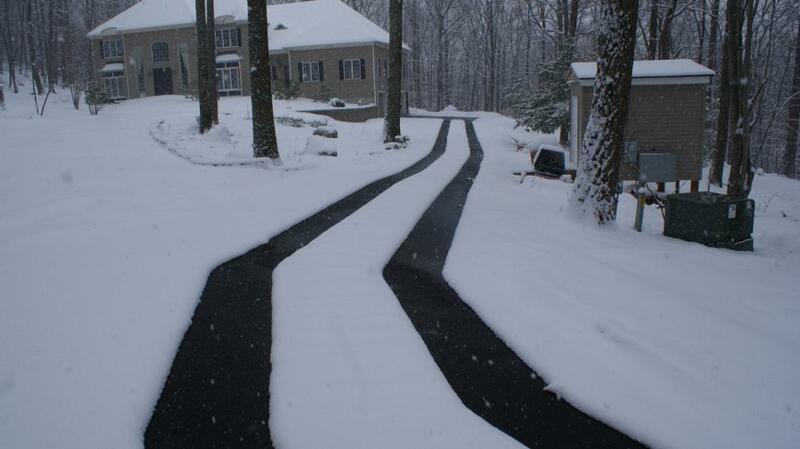 The driveway looks beautiful with pavers and belgium blocking but the infrastructure costing mid five figures hardly can keep up with more than an inch or so of snow. He later found out that the installer had little experience and no factory training. Our systems typically cost lest than half hydronic systems, are 20%-30% more efficient and have only 2 moving parts. 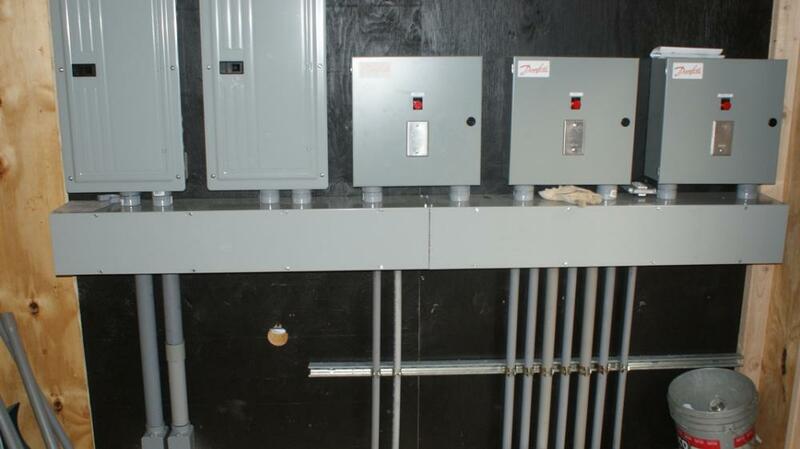 Our system being over 99.5% efficient, installed by a Northeast company with personnel that have installed hundreds of thousands of feet of radiant cables and over a million feet of control wiring. We've had to take out competitors work and reinstall an improperly installed system before. If that is the problem you're having its ok, you've come to the right place. We can install what you need. See below a competitors cable improperly installed. We install in Asphalt, Belgium block, Pavers, Cement, Tile, Tar and Chip, Bluestone, Brick and more in New Jersey, New York, CT, PA.
Our systems typically cost much less than any hydronic system, cost little to maintain each season and will last far longer. Please click here to jump to our main page. Below are the Towns, Municipalities, Boroughs and Cities in New Jersey that we service, if your town, municipality, borough or city is not listed don't worry we work there somehow we missed it. If we missed it and you live there we will take off $100.00 for pointing it out. Installation in asphalt, aspahlt, paver, pavers, brick driveway, driveways, balcony, balconies, walkway, walkways, bluestone, blue stone, belgum, belguim, block, paving, heating, heated, heat, heat my driveway, heat my walkway, replace driveway, ramp heated forklift ramp, heated ramp, heated sidewalk, heated walk, heating a driveway, heating a paver driveway, heating a asphalt driveway, heating a cement driveway, heated gutters, heated roof.